Hi, Okra. I love you. 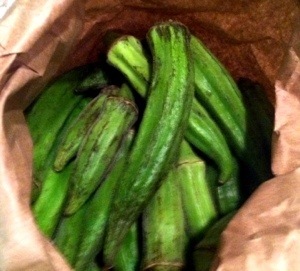 Okra is not the prettiest vegetable, but it is sooo good. I grew up eating fried okra, where I would eat each batch as fast as my Mom could make it. 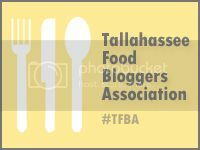 Flour, salt, okra and some oil – and you are done! 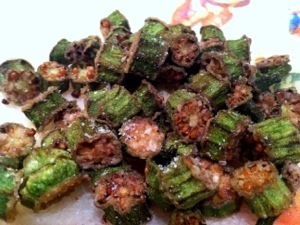 I love the different shapes and colors that okra can have. I was pleasantly surprised to find some Crimson Okra in my CSA bag from Orchard Pond Organics, in addition to the more common Green Okra. 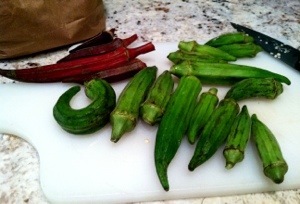 B (the almost 10-year-old) thought the red okra was a little sweeter that the green. I thought they tasted about the same. I heat up a couple of inches of oil at med-high heat. To test to see if it is hot enough, I put the handle of a wooden spoon in – if the oil reacts with lots of bubbles, it is too hot; if there is a steady stream of bubbles, then it should be about 350 degrees. 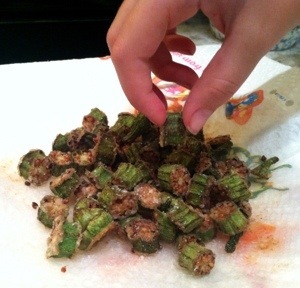 Just fry the okra until crispy and spoon out onto a paper towels. IMMEDIATELY SALT OKRA. It sticks better and flavors the okra more thoroughly. Oooo..here they are. Just amazing little crispy gems. Bonus photo with B’s fingers eating MY OKRA. Now, I also like okra sliced and added to veggie saute (squash, onion, garlic and any other veg in the fridge), as well as roasted whole, but fried is just so good. How do you like your okra?